Several years into my transtion about a decade ago, I thought seriously about killing myself. Life was really hard. I wasn't passing as my true female self very well. I often was called a man as I walked down the street. I didn't think I would ever be accepted as the woman I always knew I was, and I wanted to end it. In the note I was going to write to accompany my death, I was going to have explicit instructions about the pronouns that should be used to refer to me in death. I was going to write that I shouldn't be referred to by the name on my birth certificate but by the name that reflects my female identity -- that is, my legal name, the name I took after I dropped my old first name. ("Laverne" was my middle name, and "Cox" was my last name at birth.) I basically didn't want to be disrespected and misgendered in my death, as all too often happens to transgender folks in news reports on our deaths. I was reminded of that this weekend when I read the unfortunate New York Times article about the death of Lorena Escalera, a woman who died in a Brooklyn fire. The reporters were careful to use the correct pronouns when referring to Escalera but were sure to quote someone who did not use the correct pronoun to refer to her: "''For a man, he was gorgeous,' Mr. Hernandez said, noting Ms. Escalera's flowing hair and 'hourglass figure.'" This is just one of many passages in the article that sexualize and objectify her. Autumn Sandeen calls attention to this in her piece on Pam's House Blend. In a speech I made in Albany last week, I talked about violence against transgender women of color and how our lives are not valued. This Times article is a great example of that. I didn't personally know Lorena, but we were Facebook friends. After reading about her death, I went to her Facebook page and saw all the messages from friends of Lorena's, friends who were devastated by the news of her death, friends who talked about her beautiful spirit and how many lives she touched. Lorena's life mattered. Transgender lives matter. In a HuffPost blog I wrote last month, I noted how a news outlet reporting on the brutal murder of trans woman Coko Williams showed a photo of trash to accompany the story. The Times article follows this sad paradigm: It reads, "A debris pile outside the apartment, which is above a funeral home, contained many colorful items. Among them were wigs, women's shoes, coins from around the world, makeup, hair spray, handbags, a shopping bag from Spandex House, a red feather boa and a pamphlet on how to quit smoking." Reporting on trash in articles about the deaths of transgender women enrages me in ways I can't even explain. When I wanted to kill myself, I felt so utterly dehumanized and demoralized by living in a world that was not having me. I have struggled and continue to struggle to not only have dignity and to carve out a place in the world for myself but to treat myself as if my life matters. My life matters. Transgender lives matter. 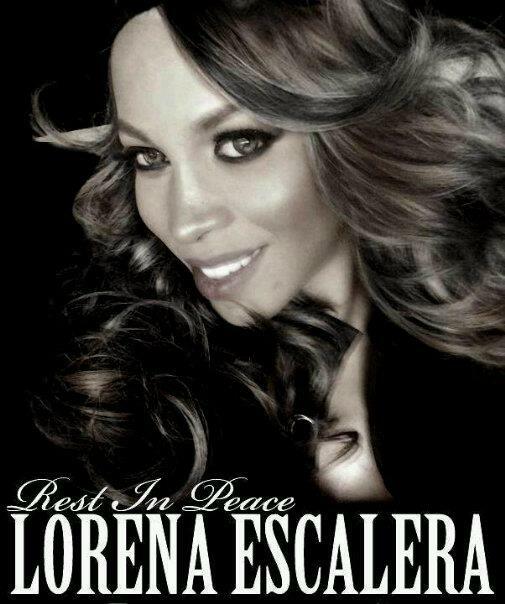 Lorena Escalera's life mattered. Rest in peace, Lorena.